iPhone X Live Wallpaper Problem Not Working - iPhone X live wallpaper not working or not moving on iPhone XS and live wallpaper doesn't work iPhone XS Max may not just your iPhone problems to day. We try to give you a solutions how to fix on this issue with our miimal guide tutorial tips and tricks. It's amazing to use an animated wallpaper on iPhone XS, XS Max, Xr, iPhone X plus iPhone 8 or iPhone 11 iPhone XI or any iPhone models a lock screen that comes to life. 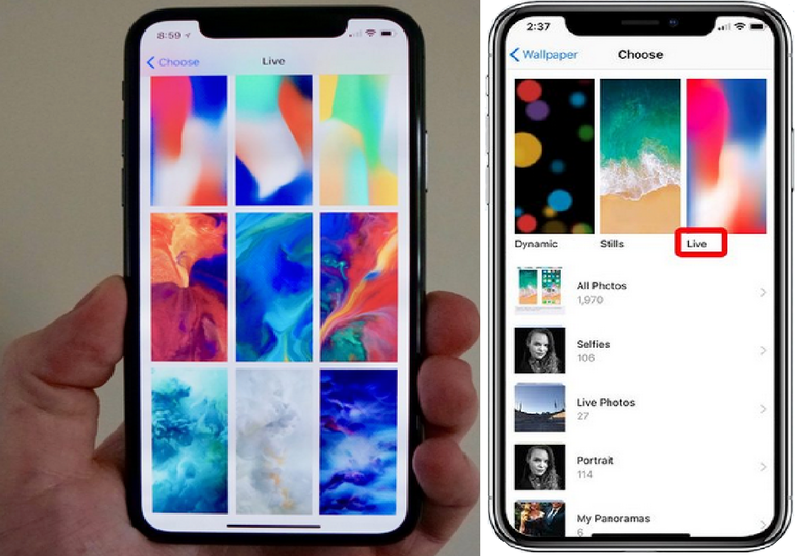 Live Wallpapers features have been released by Apple since iPhone 6S and add features as a magical flair into your phone. The common Live Wallpaper problems with people set up and use this features are: a Live Wallpaper only works from your Lock Screen, not in Home Screen. We give a tips to activate it by press firmly than engage 3D Touch, hope it fix your first problem, and the second tips to fix, on the image selected must be set as a Live Photo or one of your iPhone X as a default Live Wallpaper. If you still probelm or not working, You can try to restart iPhone or force reset iPhone, anyway try these steps to learn an advatages guide how to fix it. Your iPhone X live wallpaper not working some times caused by a Low Power Mode that make a crash your wallpaper not moving. Low Power Mode on iOS 11 reduces the amount of power in your iPhone when the battery gets low. You can also turn on Low Power Mode or off easy from Control Center. If the battery icon at the top of your iPhone X display is yellow your might turned it on. This shouldn’t make a problem to deactivate Live Wallpapers, but many users reported technical issues Low Power Mode make live wallpaper problem doesn't work. On iPhone X come preinstalled wallpaper on the device as iPhone wallpapers normally are distinctive metallic liquid display no commercials feature a stunning new wallpaper instead new iPhone. 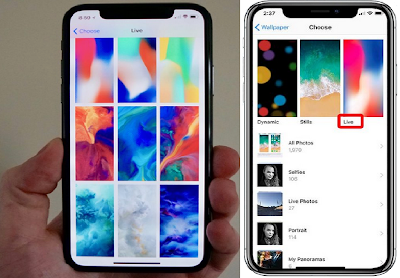 Apple update two liquid wallpapers iOS 12, get iOS 13 update here. The fisrt time you must open the Settings app on your new iPhone or old's iPhone. The seond period it's a time to select wallpaper you can use our iPhone stock wallpaper. Choose Live to set animated iPhone wallpaper into live liquid wallpapers set a Live Photo and Set it.